Whether you’re just starting to investigate a migration to an ERP system, or you’ve already installed one and know it’s the software for you, this whitepaper will help you plan for what’s coming. This paper outlines the standard process that Open Source Integrators (OSI) follows for an ERP system roll-out, and brings up important questions and areas of planning for your implementation. 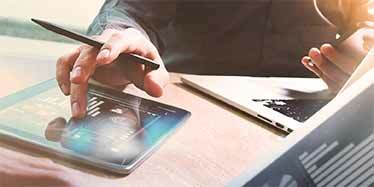 Once you’ve decided to change your enterprise resource planning (ERP) platform, you have made the first of many tough decisions to support this significant business change. Which ERP system to use? Which system integrator to help you? If you are considering Odoo as the ERP software of choice for your organization, understand the philosophy behind open source. 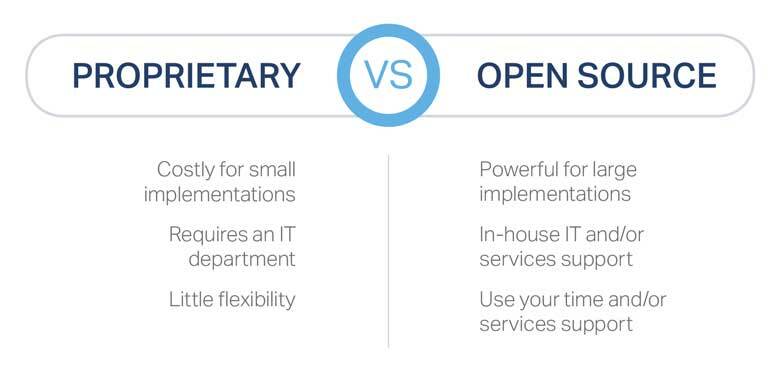 It’s somewhat misleading in terms of financial planning, as using open source does not always mean a reduced price for system implementation. However, it does give you many freedoms for use. One choice you have is to either use the standard software base (this results in a lower time and / or cost investment) or invest more time/money to get a highly-customized system that precisely supports and streamlines your business processes. Your business will likely fall somewhere in between. Another choice is how much of the implementation work you want to complete in-house vs. how much you want to outsource to a system integrator. It is highly recommended that even with open source options like Odoo, companies work with a system integrator at least for a starting consultation. 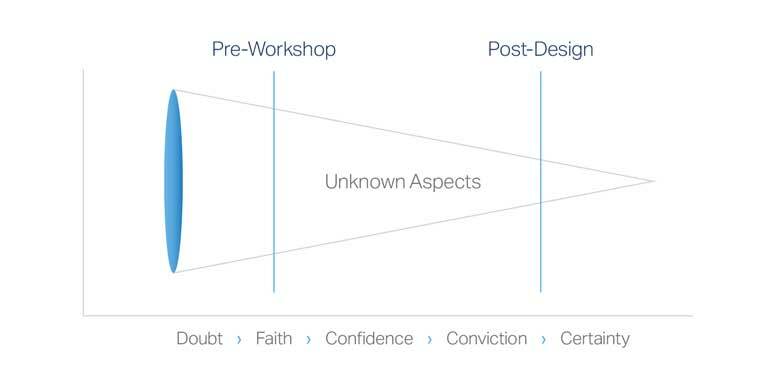 Often there are variables and criteria for success that must be planned out and considered to lay the foundation for a successful implementation. 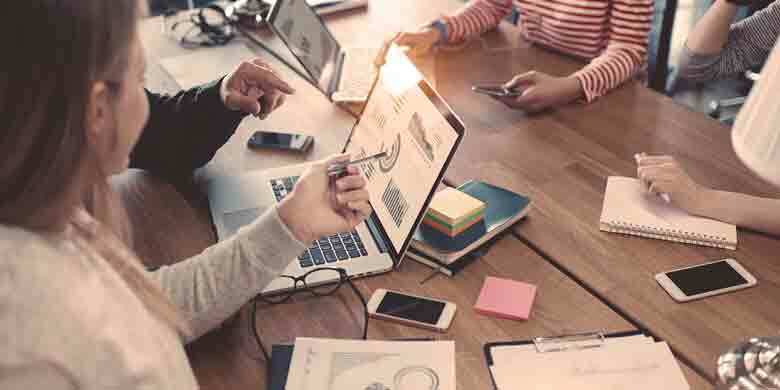 Companies can do implementations on their own; but careful planning and early consultation are highly valuable for the overall project success. Above all, you must find a system integrator that you can trust. ERP system implementation gets into the deep and intimate details of your business, and you must feel comfortable sharing that information with your implementation partner. OSI has found through experience that there are common philosophies and implementation approaches that set a company up for success. 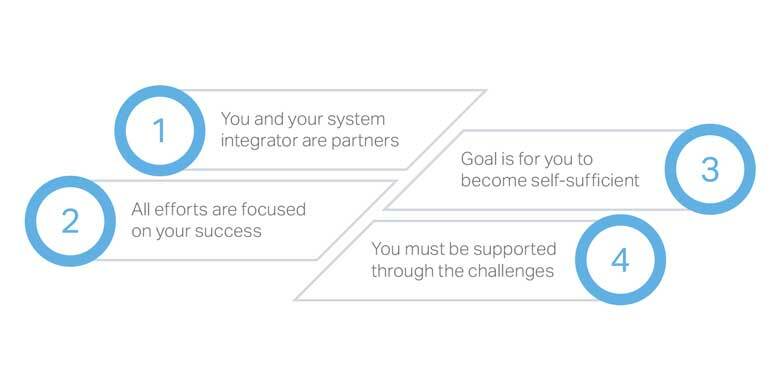 When researching a system integrator, it is recommended to look for these qualities. 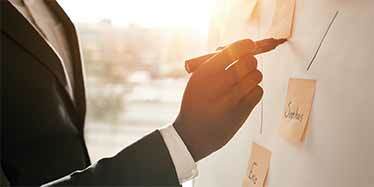 Following a well-planned and experience-tested implementation structure is vital to success. This should extend beyond just software implementation. Introducing software to run a poorly designed business process will not improve the business process—it will just make that bad process run very fast. Implementing a new ERP system is an excellent time to reassess your business processes and look for areas of optimization. Software implementation is just one part of the process. An effective system integrator will take you through each of these steps, and provide you with a fresh perspective on how you can change your way of doing business to optimize your work and your use of the ERP system. OSI would analyze your business systems and their interactions to discover relationships between components and across processes that are often unrecognizable or not immediately visible. We would meet with you in a requirements gathering workshop to listen to your goals and baseline your current situation. In collaboration with you, we would identify the criteria for success, determine schedule and cost requirements, and prototype a new system. 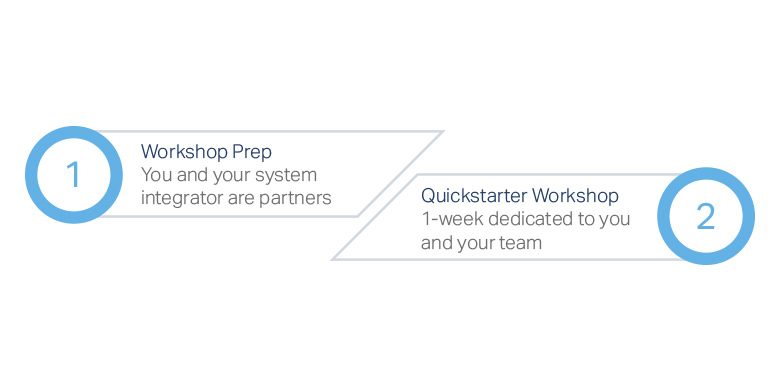 Once the Quickstarter Workshop is complete, OSI would optimize critical areas. We would develop and implement approaches for optimizing inventory, staff or machinery scheduling, materials management, or other systems you have identified as the most vital components of your business. Once the system is designed and the project is outlined, OSI would automate your now improved processes by building and installing a customized business solution using the Odoo software package. 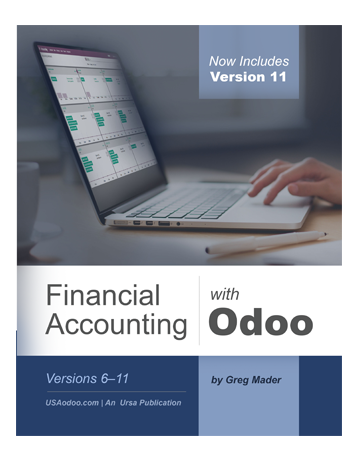 OSI uses Odoo to design an easy-to-use enterprise system for your business, designed around simple workflows. 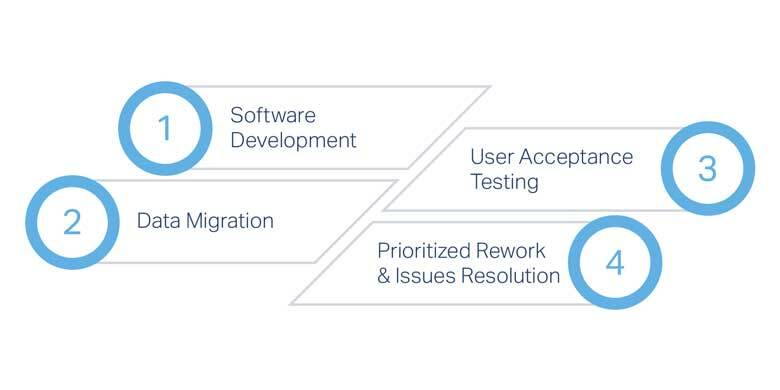 Even though OSI sets up a project plan, we still follow an agile approach to roll out your system, so that you can start using it sooner, and see quicker results in your business applications. 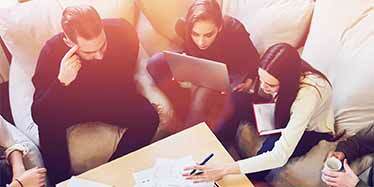 Our goal is for you to see return on your investment as quickly as possible. To support this goal, OSI runs the following work areas concurrently. Once system automation is set up, OSI would provide coaching, training, and warranty support to help you transition to independence. We don’t consider the deployment of technology to be the end of our assistance to you. Because successful implementation of a new system is critical to achieving your return on investment, OSI stands with you, helping you achieve your goals. You invested in the system; we want you to get the ROI. 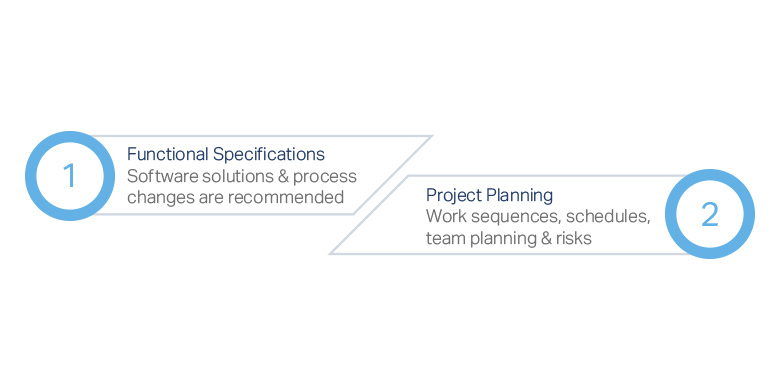 With any software implementation project, the process and plan should be designed to reduce risk early on and set you up to see early results from your investment. By starting the project with one week dedicated with your team, OSI is able to quickly and effectively assess the needs of your business and reduce the uncertainty of the project. Success of your ERP implementation will hinge on the involvement and commitment to the project within your organization. The more team members involved, and the greater their dedication to making this a reality, the smoother the operational change will be adopted. Try our Savings Calculator to estimate how much our process could save you.